A Run Through Of The Considerations All Motorists Should Take Concerning Their Tyres. In Great Britain and Northern Ireland, the legal limit for minimum depth of the tread on a tyre is 1.6 mm, across the central ¾ of the tread around the complete circumference of the tyre. 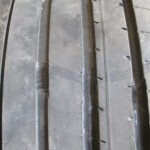 Unfortunately, worn tyres are very common. One in ten cars has one or more tyres with a tread depth below the legal limit. The NTDA recommends a regular safety check of your tyres by the specialists at your local tyre centre / depot. To find the nearest NTDA member depot CLICK HERE. Such checks can help you to avoid three penalty points on your driving licence and £2,500 in fines (per tyre) for having tyres worn beyond the legal minimum limit on your vehicle. Disqualification is also possible in certain circumstances. Generally, new tyres come with between 8mm and 7mm of tread. Worn tyres reduce braking capability in general and especially on wet roads. This severely increases the risk of accidents. Vehicles of drivers found to be at fault in high-speed accidents were found to be six times more likely to have worn tyres than those of the other drivers involved. On wet roads, the risk of an accident trebles if the tread depth is at the 1.6mm legal minimum and it increases seven fold when the tread depth is less than 0.5mm. For safety reasons the NTDA recommends that you replace your tyres before the legal limit is reached. Many major vehicle manufacturers recommend replacing at 3 mm. UK law requires that your vehicle is fitted with the correct type and size of tyre for the vehicle type you are driving and for the purpose it is being used. This means fitting the right tyres and for safety ensuring that they are inflated to the manufacturer’s recommended pressure. It is also a legal requirement to ensure that tyres of different construction types are not fitted to opposite sides of the same axle. 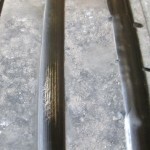 The two main tyre types are radial and cross-ply, and these must not be mixed on the same axle. It is also recommended that you do not mix multiple brands of tyres on your vehicle. Vehicle handling is affected when the tread depth is greater on the front tyres than on the rear tyres. The NTDA recommends that you check the pressure of your tyres, every two weeks, when they are cold and don’t forget to check the pressure and tread depth of your spare tyre. 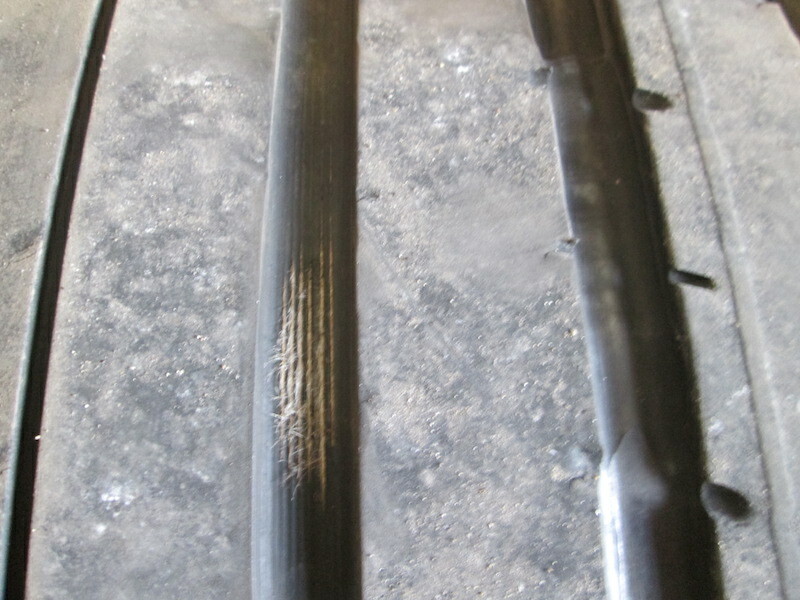 Structural failures in tyres are minimal and responsible for less than 4% of accidents. 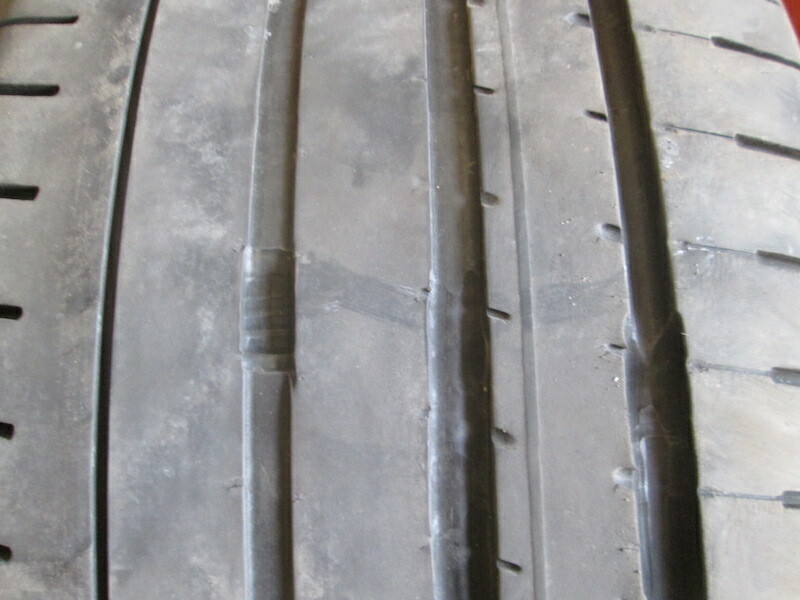 These are then usually the result of a tyre running for an extended period of low pressure or after suffering damage before the accident occurred. The NTDA recommends, that when it comes to tyre safety, motorists always tread safely and have their tyres checked regularly by an NTDA tyre specialist.